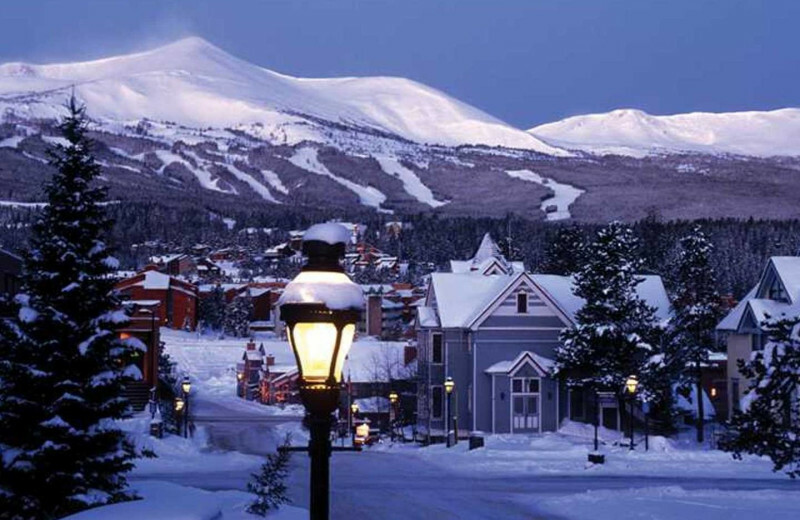 Discover beautiful Breckenridge, Colorado, at Grand Lodge on Peak 7. 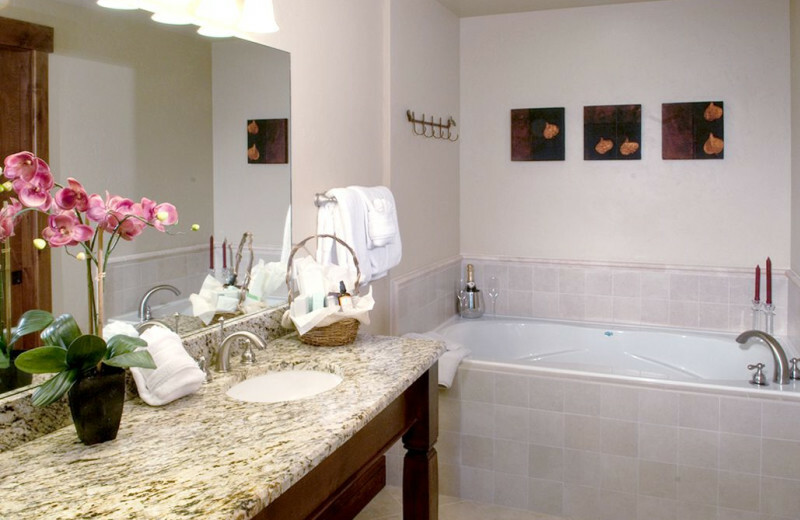 Each of their suites offers unparalleled comfort. 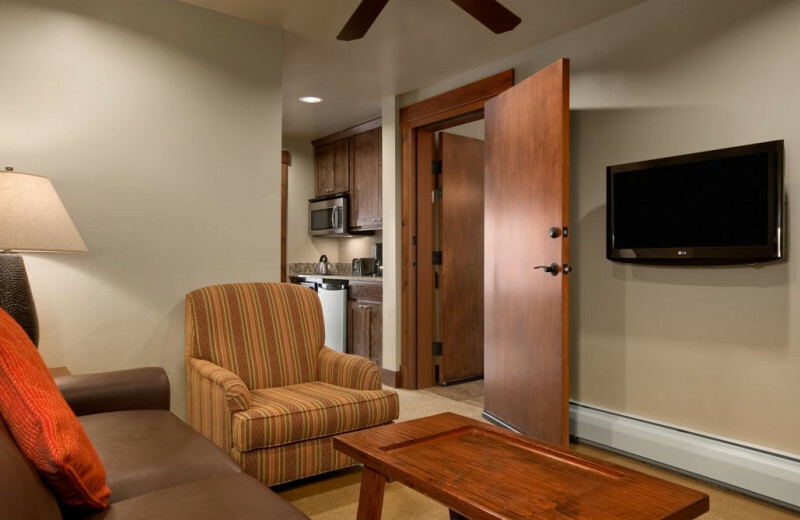 With options of up to four bedrooms, private balconies, natural materials including knotty alder woodwork in the rooms and dual shower heads are all aspects showing that Grand Lodge on Peak 7 goes the extra mile to make your vacation a once in a lifetime experience. These luxurious suites are located near a variety of great activities. 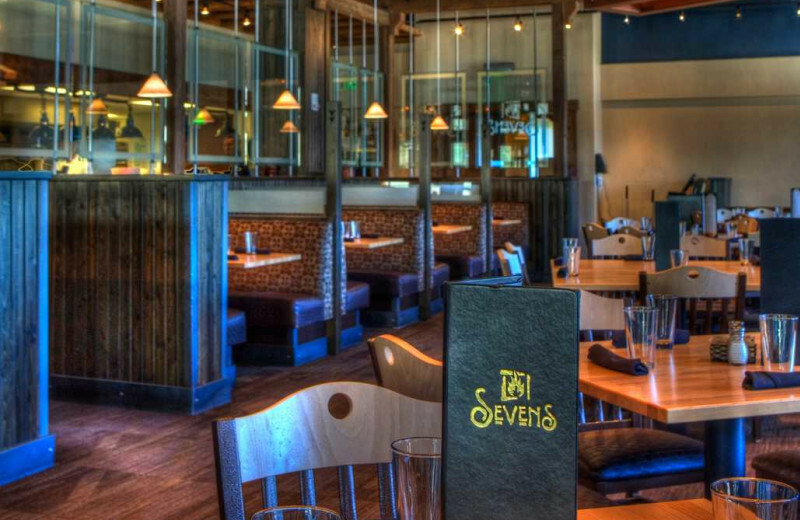 Stop by on-site Sevens Restaurant to sample from a menu that offers American, Asian and Mediterranean inspired cuisine. 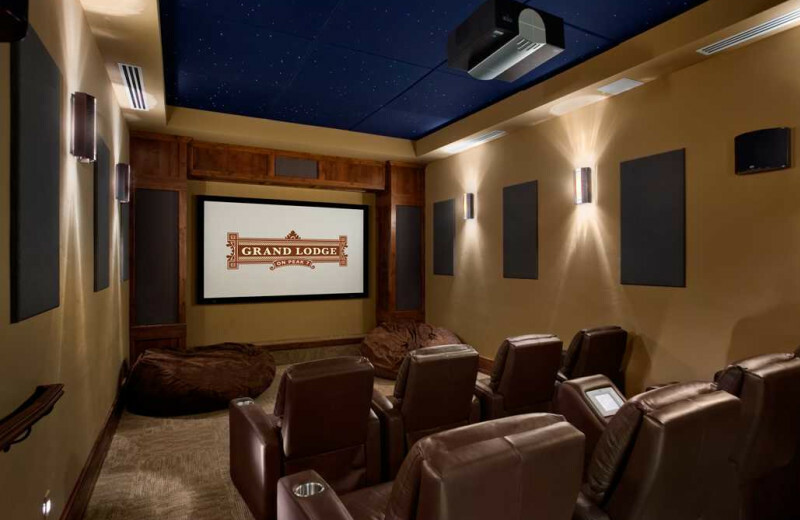 Stay in for a family movie night. 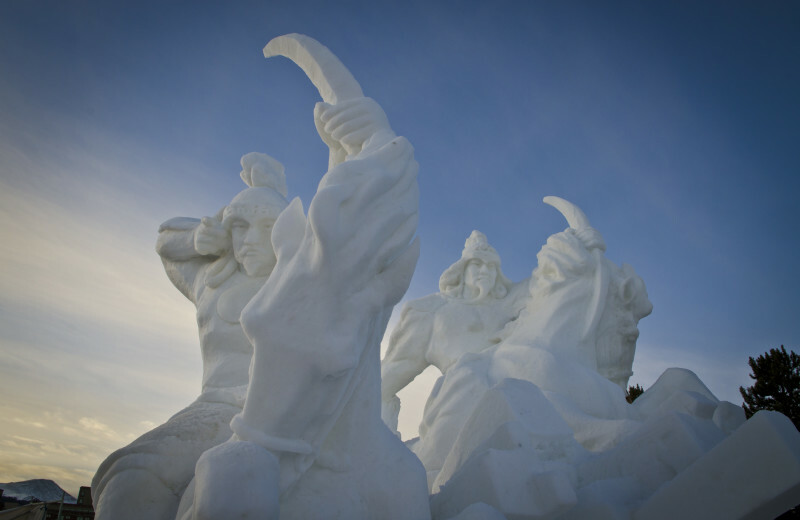 Get your adrenaline pumping with an exciting run down the slopes or by exploring the woods on dogsled. The choice is yours at Grand Lodge on Peak 7! 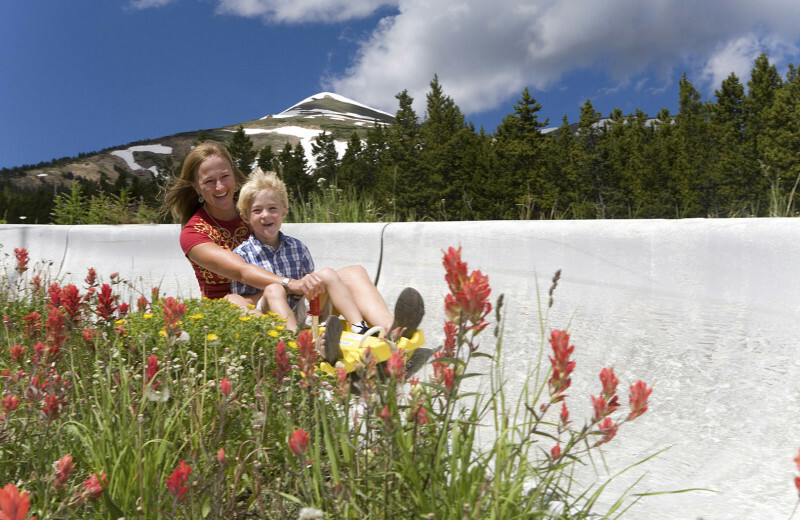 Enjoy all the comforts of home in a stunning setting on your family vacation at the Grand Lodge on Peak 7. 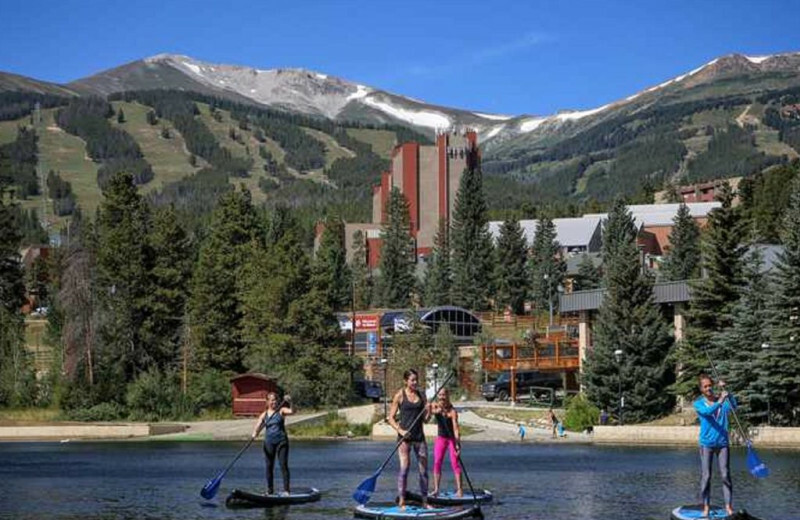 This Breckenridge destination offers you and your loved ones a chance to reconnect in an inspiring location that's full of fun activities and attractions. 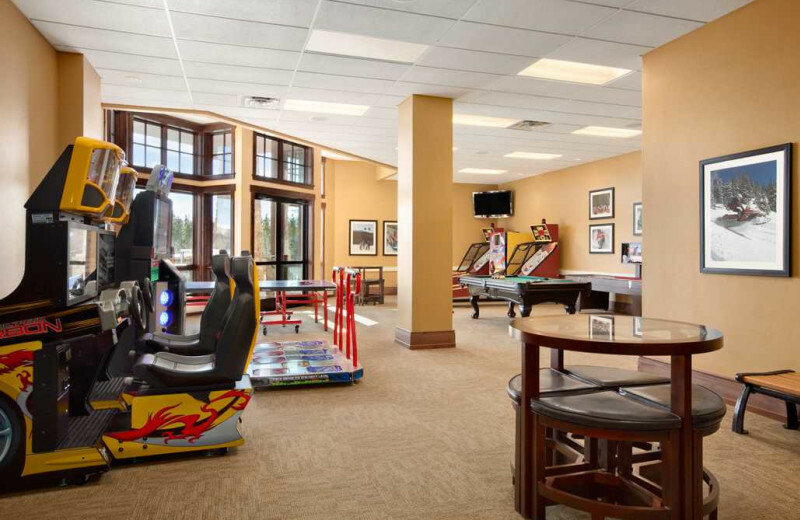 The Grand Lodge on Peak 7 Activities Department is a complimentary on site service that can help you plan and book family activities! 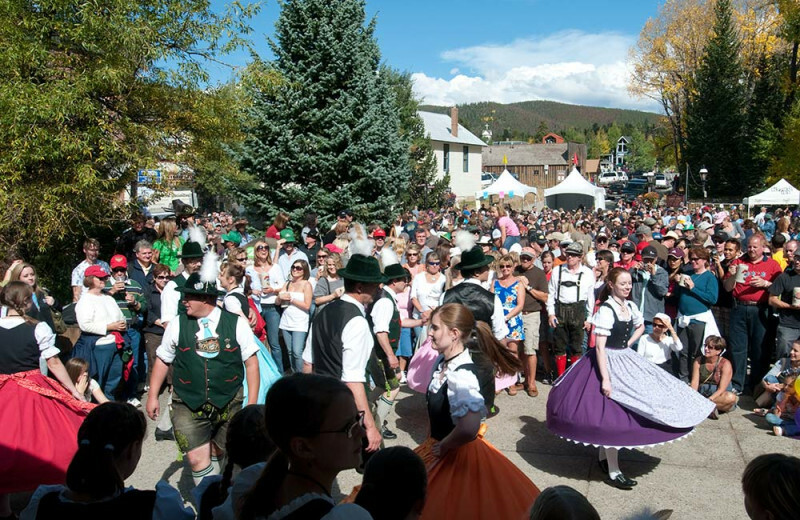 Take in the views of the Rocky Mountains as you explore the many mountain trails on a hiking trip, or just stroll down historic Main Street. In the winter you can enjoy ski-in/ski-out access to the area's best slopes! 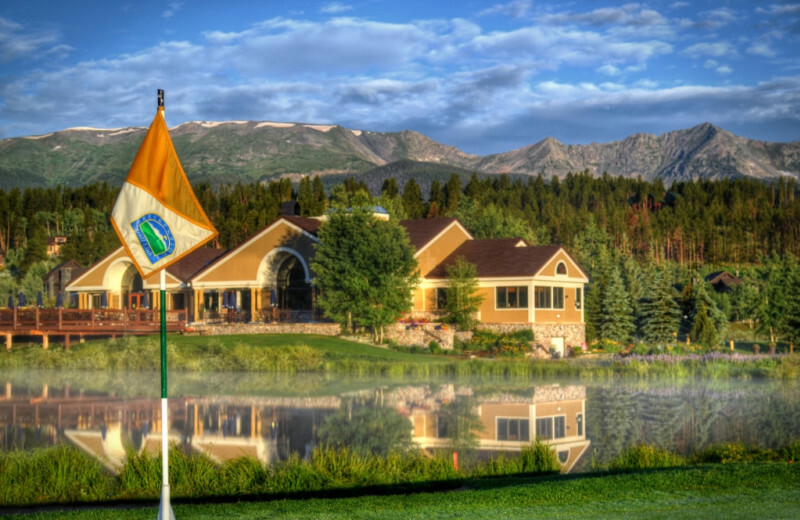 Play a memorable round of golf when you stay in Breckenridge at Grand Lodge on Peak 7. Local golf courses are happy to play host to guests of Grand Lodge on Peak 7! 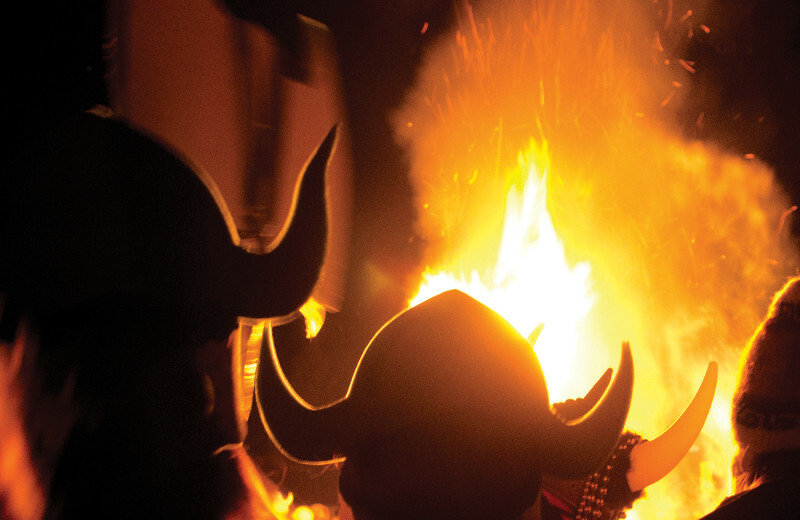 Choose from the nearby Breckenridge Golf Club, Copper Creek Golf Club, The Raven at Three Peaks and a variety of other local gems! Ask The Grand Lodge on Peak 7 Activities Department to help you put together a perfect golf day that's on par with the rest of your vacation! 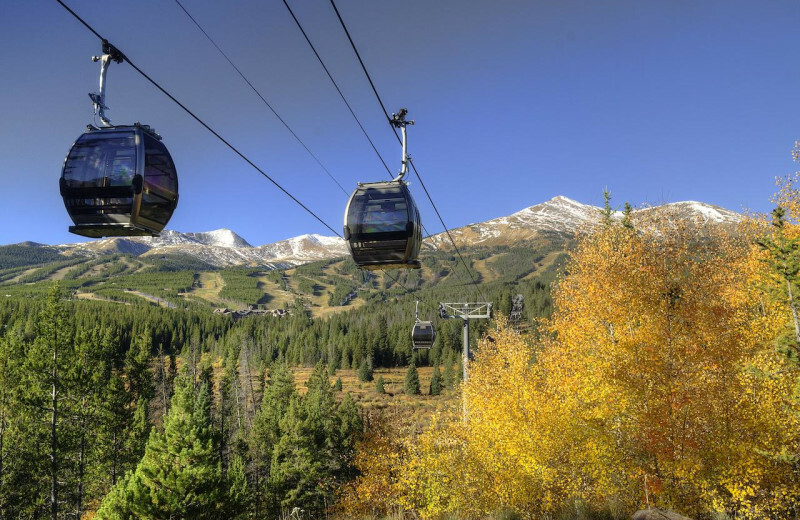 Explore the beauty of nature in Breckenridge with Grand Lodge on Peak 7. 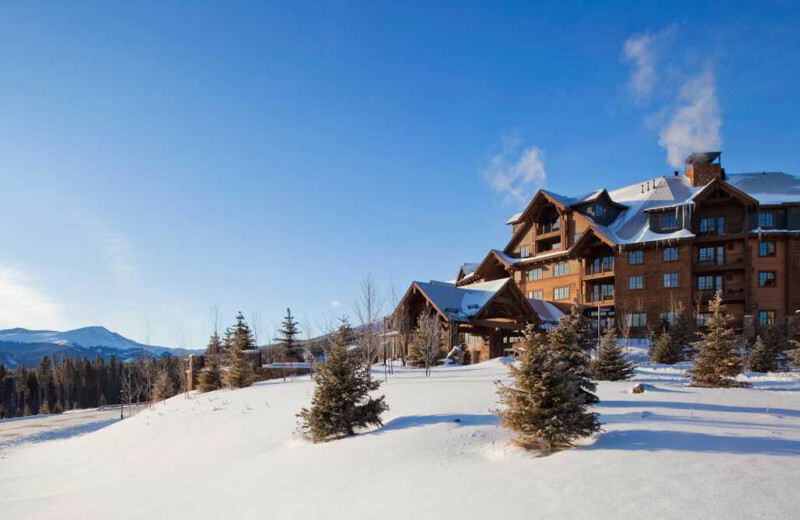 The breathtaking Rocky Mountains that surround the lodge are filled with slopes to ski and trails to hike. 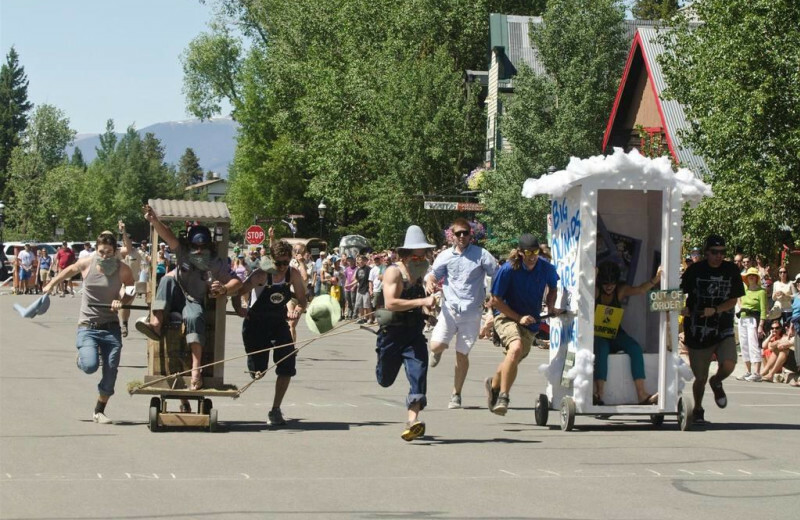 You can even go dog sledding! If you can't get enough of nature, then the crisp mountain air, the mountain streams, and wooded valleys are for you. 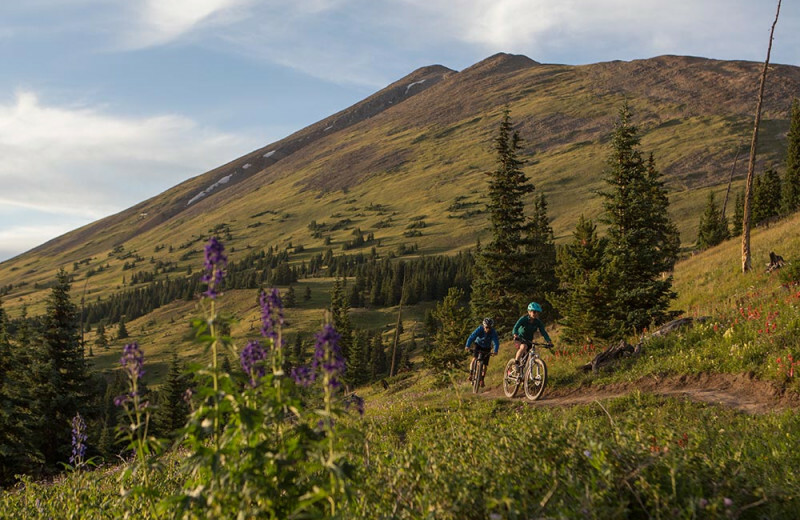 There are a number of beautiful trails located conveniently close to Grand Lodge on Peak 7 ranging from easy (Sapphire Point) to difficult (Quandary Peak). 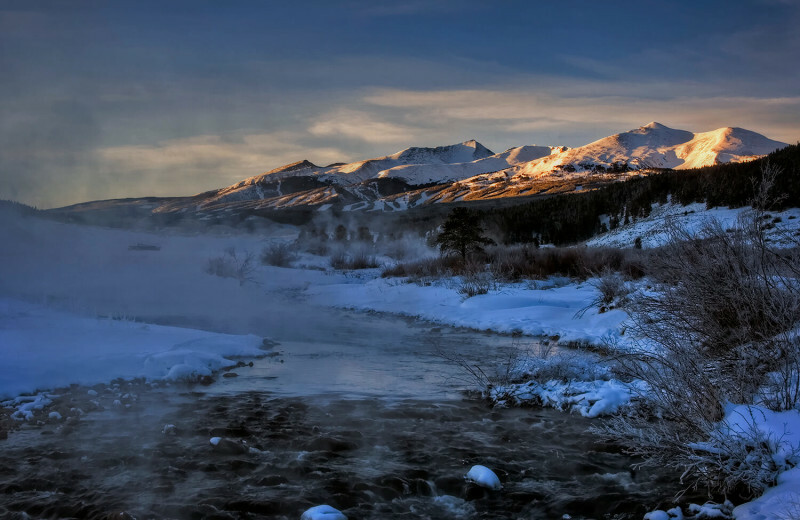 Colorado has only 13 streams and lakes as Gold Medal Trout Waters, and several of these waterways can be found within an hour and a half of Grand Lodge on Peak 7. 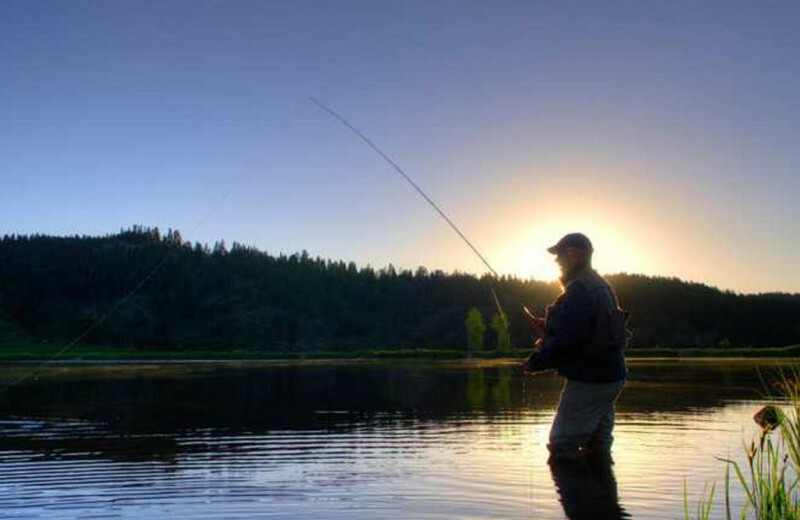 Explore world-class fly fishing on your own, or hire a guide to take you to where the fish are biting. It's a great time no matter your skill level! The Gore Range Outfitters and The Mountain Angler are both groups that will help make your fishing excursion extra special. 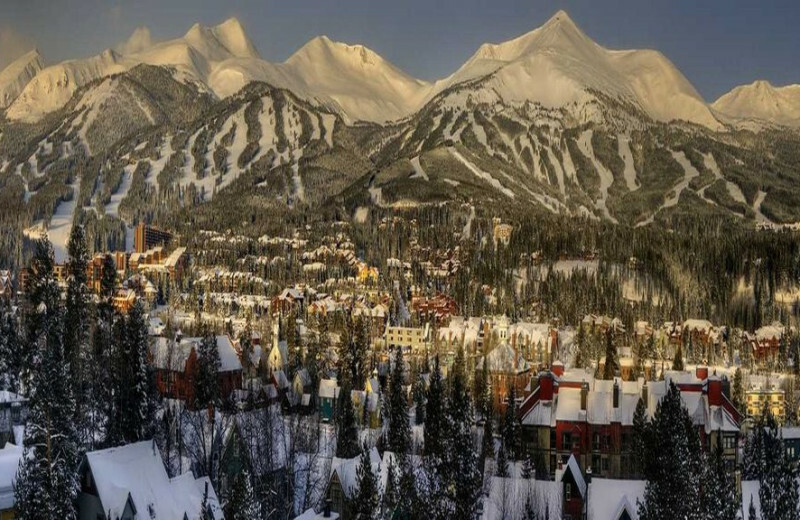 When you look at the rising Rocky Mountains, peak with snow and glimmering in the bright sunlight, it's an experience you'll want to share with the person that's most important to you. 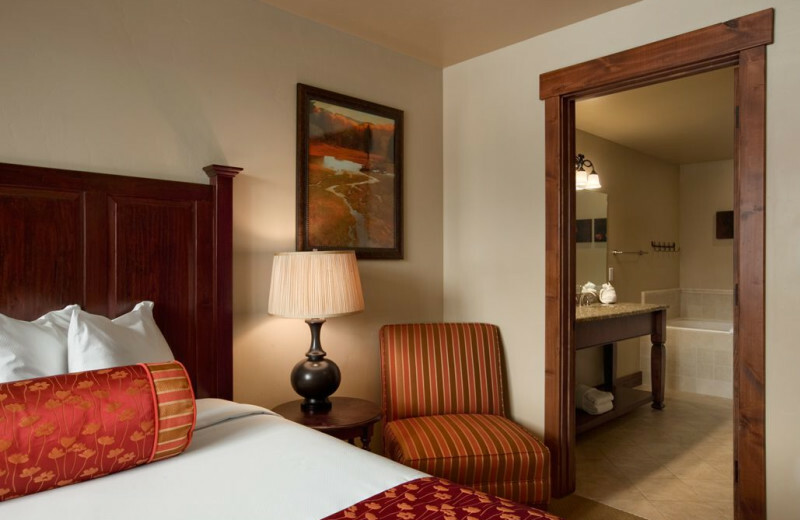 At Grand Lodge on Peak 7 they make sure that romance is ready to blossom. Enjoy hiking or hitting the slopes together and then relax your sore muscles together with a couple's massage at Soothe Spa. Afterwards, enjoy a romantic dinner at Sevens Restaurant and let the beautiful scenery do the rest. Colorado is the United States' number one winter recreation spot and after a stay at Grand Lodge on Peak 7, there will be no question why. Spend a day on the slopes with Grand Lodge on Peak 7. 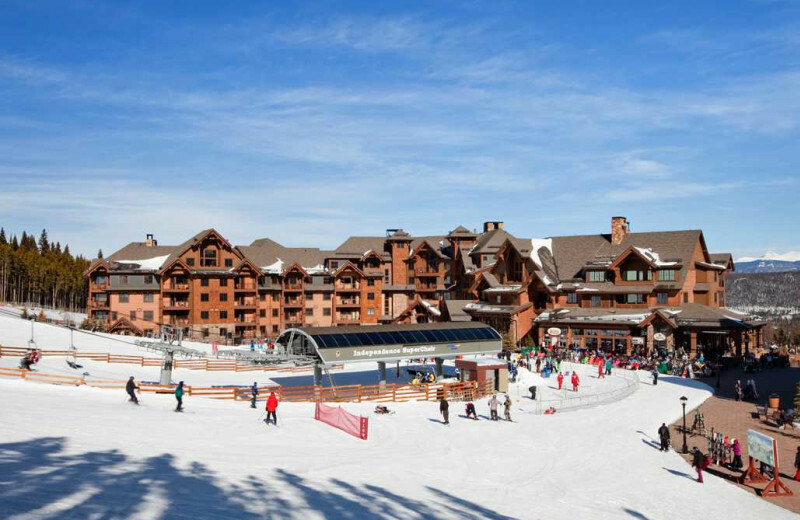 This resort offers ski-in/ski-out accommodations just a short distance from the Independence SuperChair with easy access to over 2,200 acres of terrain. For those looking for the preface snow-based vacation, you can stop looking because this it the place to go. With the majestic peaks of the Rocky Mountains as your backdrop, it's hard to find any place more luxurious and inspiring as the Grand Lodge on Peak 7. 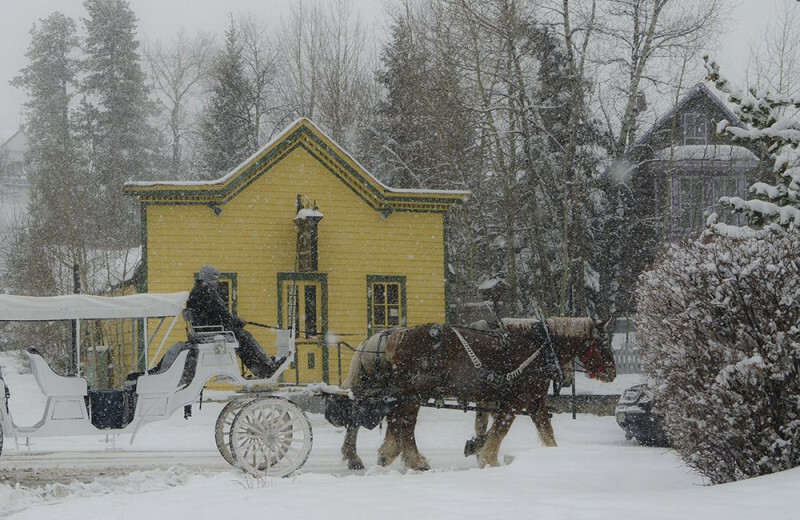 This elegant Breckenridge destination puts you in the perfect place to enjoy all that Colorado has to offer, any time of the year. Ski-in/ski-out access comes in handy during the winter, while their Activities Department can help you plan everything from golf retreats to movie nights. The Soothe Day Spa awaits for when you're looking to relax, and the Sevens Restaurant serves up delicious meals to satisfy any hunger. For a complete, unforgettable vacation, there's no place better than this. 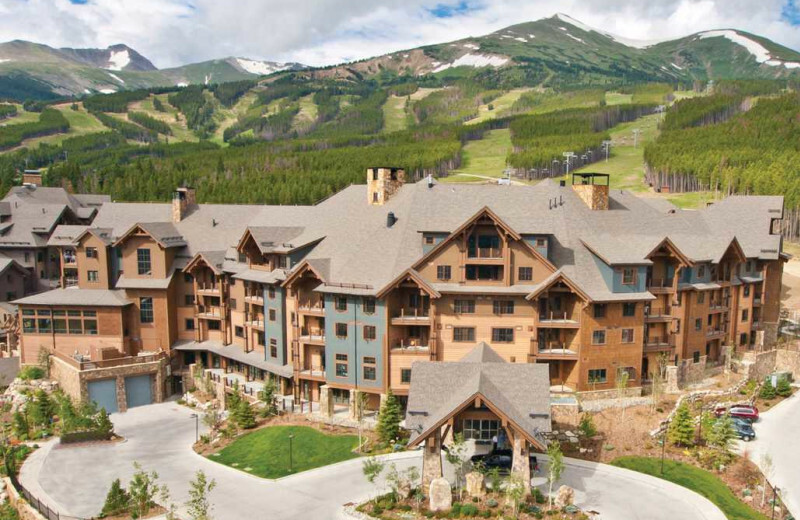 Enjoy the stunning Rocky Mountains of Breckenridge, Colorado, when you stay at Grand Lodge on Peak 7. Whether you ski in the winter or hike in the summer, there is no better backdrop for your vacation. 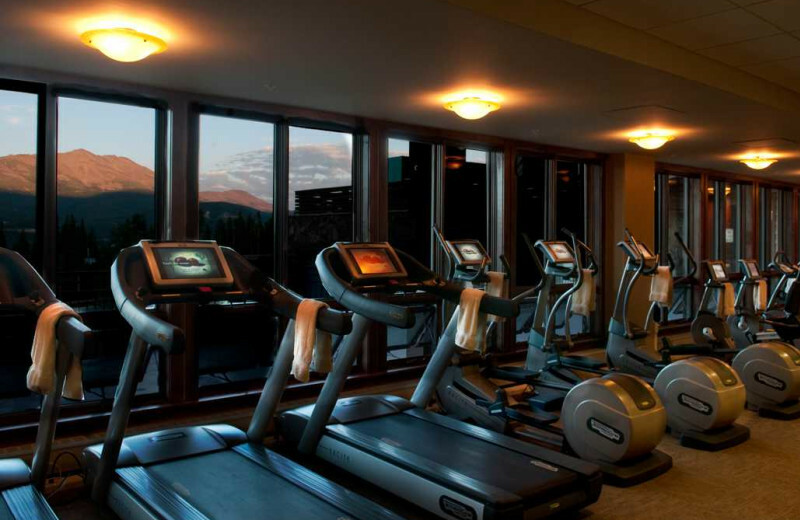 For all its attractions, at Grand Lodge on Peak 7, the breathtaking Rocky Mountains will be the true stars of your vacation. To truly celebrate your honeymoon, you need to do something special, you need to do something unique, you need to stay at Grand Lodge on Peak 7. With accommodations and activities all year round, this is the perfect place to celebrate your new marriage. Take in the views as you hike to Sapphire Point, challenge each other to a round of golf nearby, or spend a day exploring over 100 shops and restaurants in town. To top it all off, you can indulge in a rejuvenating couples' massage at the Soothe Day Spa and treat yourselves to dinner as newlyweds at Sevens Restaurant. 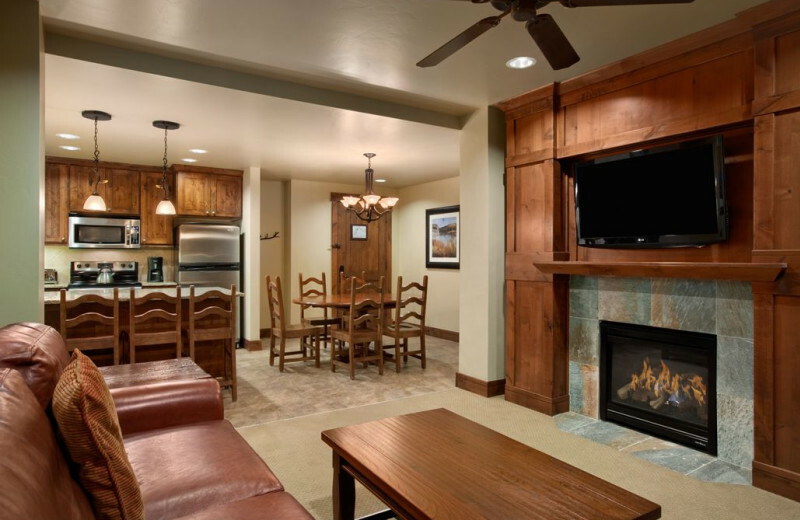 Located right on the Rocky Mountains, Grand Lodge of Peak 7 is the perfect location for your next holiday! Hit the slopes and enjoy ski-in/ski-out accommodations for Christmas, or enjoy a massage instead of spending time in a busy mall. With ample streams and fishing opportunities, this is also a great location for summer holidays, like the Fourth of July or Memorial Day! 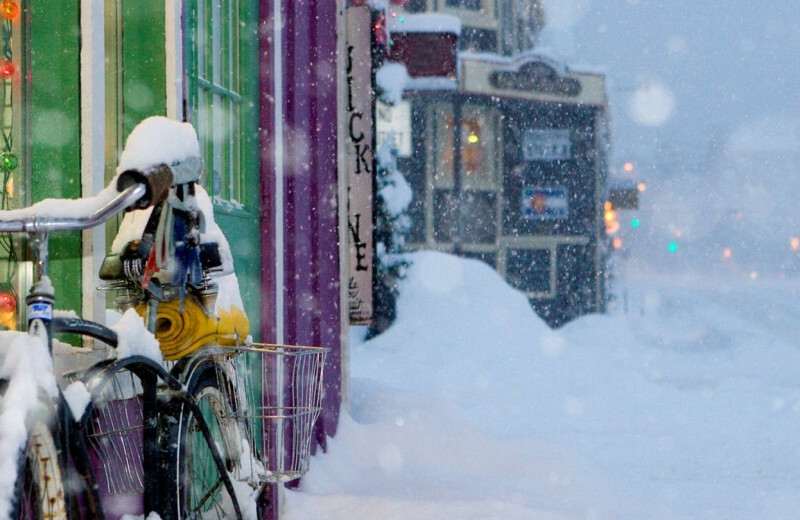 Plan your next holiday in Colorado. 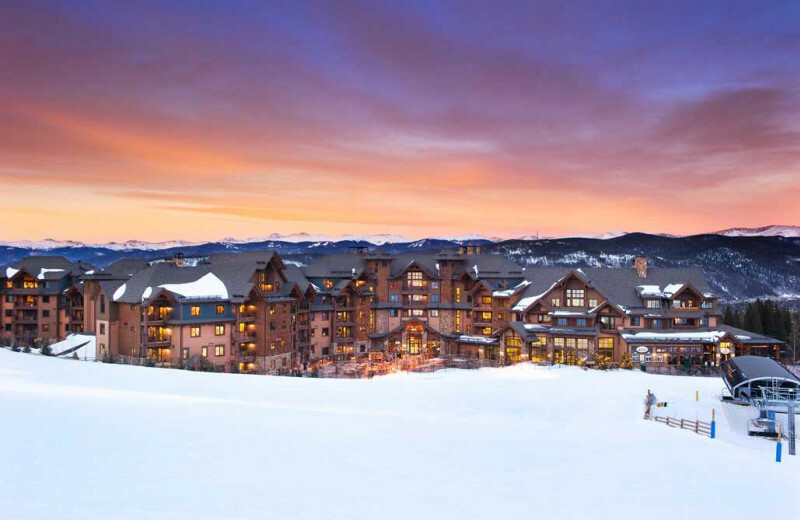 Indulge in a relaxing experience in Breckenridge with Soothe Day Spa at Grand Lodge on Peak 7. 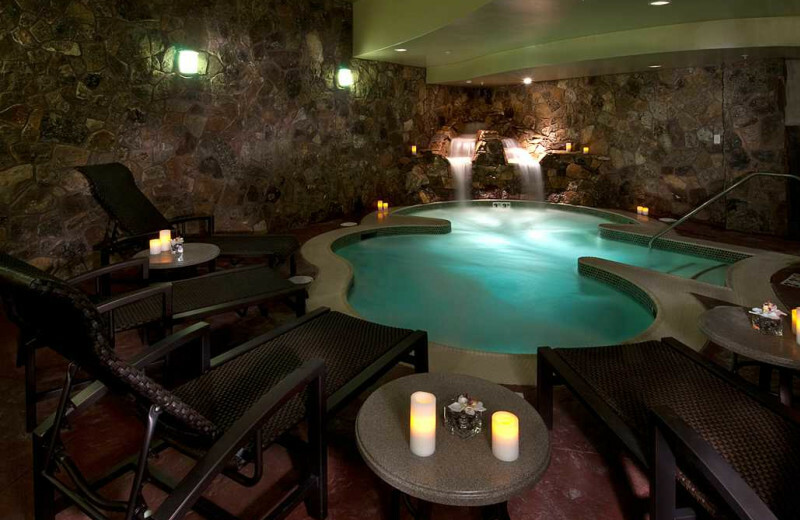 From a full menu of services to organic spa products, it's the perfect place to relax on your vacation. So after a long day full of outdoor adventures, there's nothing better than retreating to this soothing sanctuary and letting yourself be pampered. Special touches such as the "couple's room" make this spa stand out from the rest. 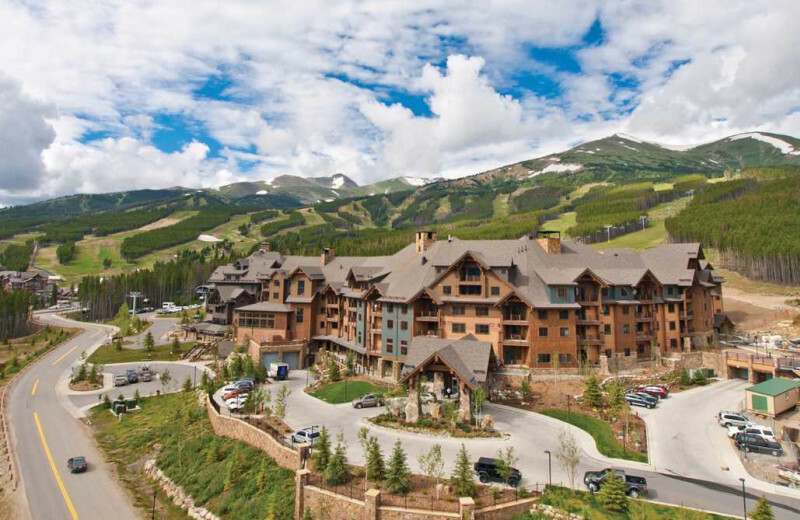 Grand Lodge on Peak 7 features luxurious condominium-style suites to choose from on your Colorado vacation. Choose from one to four bedroom residencies that offer stunning mountain views and ideal ski-in/ski-out access to endless outdoor fun. These spacious rentals are ideally equipped with amenities such as full kitchens, flat-screen television and DVD players, jetted bathtubs, and gas fireplaces. It's everything you need to feel right at home! 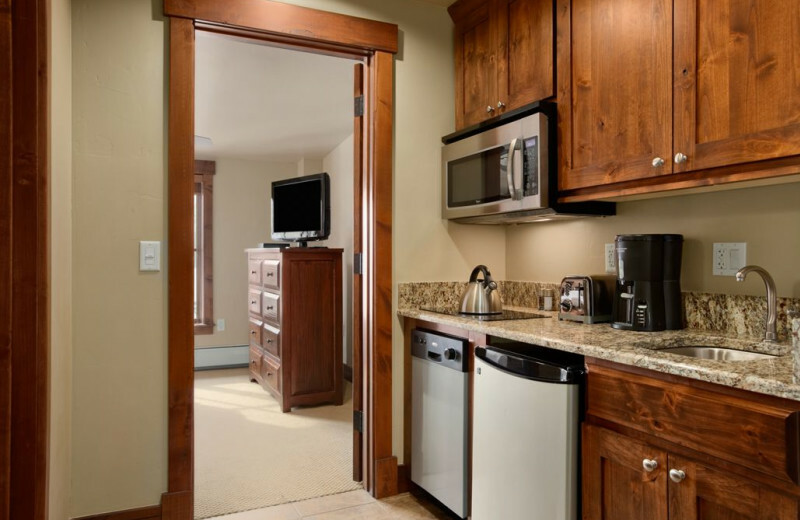 This property is ranked number 2 on Top Breckenridge Ski Accommodations. Read about it here.